Why Do You Need A CO Detector In Your Home? | Calgary Alarm Inc.
Why Do You Need A CO Detector In Your Home? Carbon monoxide poisoning is the leading cause of fatal poisonings in Canada and is also the number one accidental killer in Canada as well. Carbon monoxide is a colourless, odourless and tasteless gas that is caused when heat is produced. The frightening part about carbon monoxide is that you cannot detect it, which is why it is often called the silent killer – with high exposure it becomes lethal. 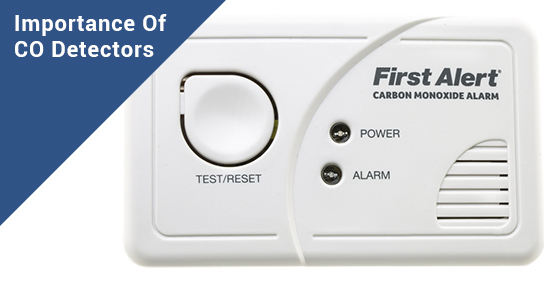 A carbon monoxide (CO) detector is the only way to detect carbon monoxide in your home. Once the alarm detects it, it will sound an alarm. Without it, you could become unconscious and could eventually die. To keep yourself as safe as possible, remember to change the batteries if you have a battery-powered carbon monoxide detector. How Can You Be Exposed to Carbon Monoxide? The following things can expose you to carbon monoxide: running your vehicle in the garage or using your fireplace, oven, a gas or oil furnace or kerosene heaters. In short, avoid using fuel-powered items in an enclosed space that does not have any ventilation. The place of your carbon monoxide detectors is just as important. Place them around your home and ensure that they are located near the bedroom so that if the detector sounds off in the middle of night, everyone will be able to hear it. If your carbon detector goes off, do not waste any time. This means not even taking the time to open windows and doors – get out of your home immediately and call the fire department. Always be aware of the potential signs of carbon monoxide poisoning. While a low level of exposure may leave you with shortness of breath, symptoms get worse with greater exposure. Eventually, you could feel a range of flu-like symptoms (with the exception of a fever), including dizziness, blurry vision, nausea, vomiting, headaches, passing out, rapid heartbeat and seizures. If you want to feel safe in your home and protect your family against carbon monoxide poisoning, consider carbon monoxide monitoring. Your home will be fitted with electronic sensors and will be monitored 24 hours a day, 7 days a week. As one of the best security alarm monitoring companies in Canada, consider Calgary Alarm for your choice of carbon monoxide monitoring. Contact us today for a free consultation.